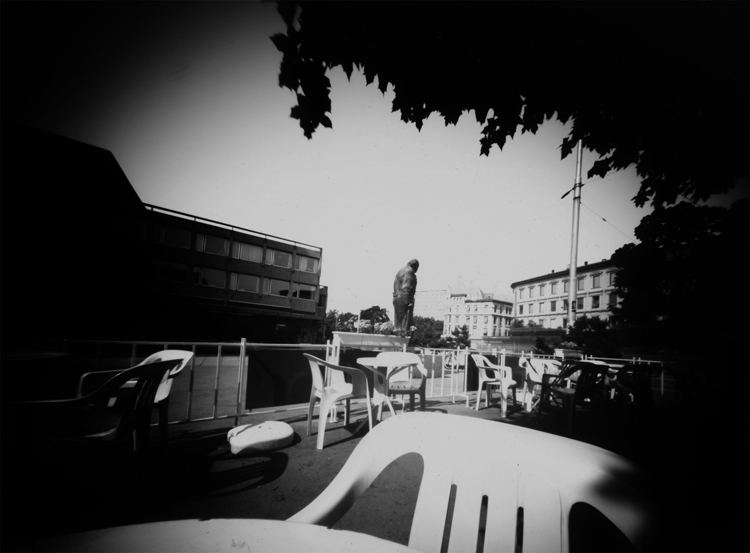 I made these photographs in 1992. 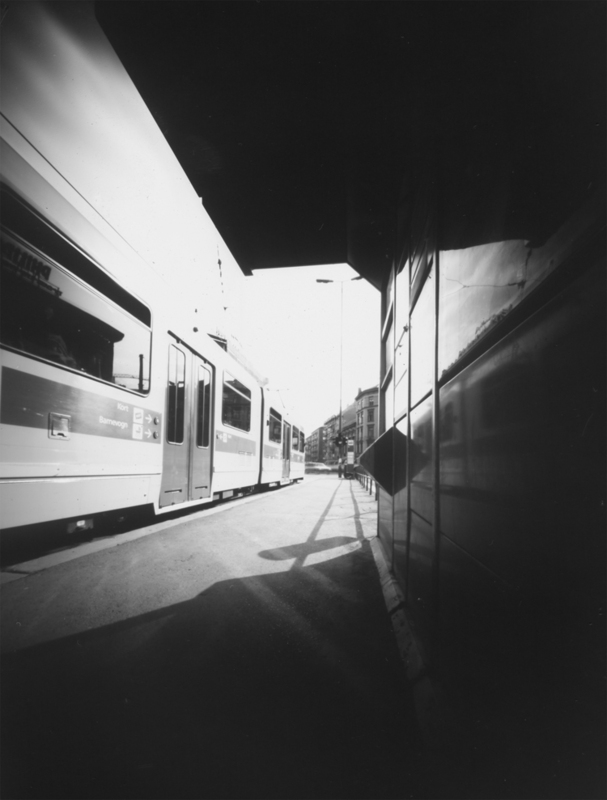 My camera was a wooden box; my negatives were made on photographic paper 18 x 24 cm. 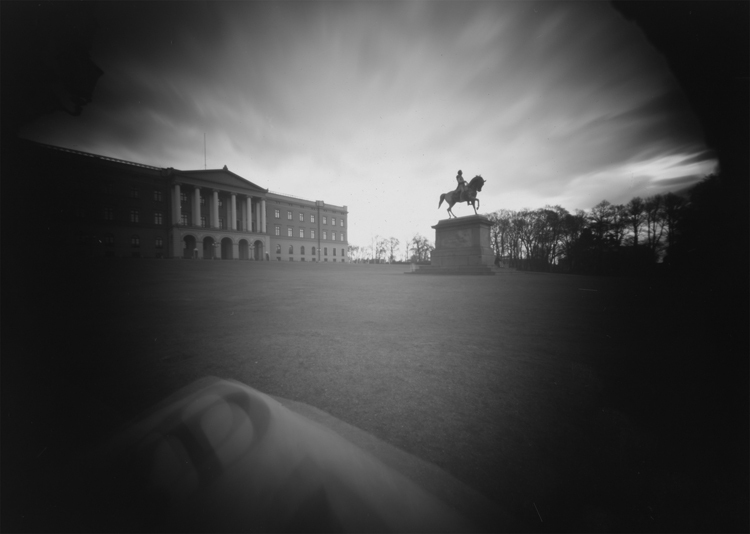 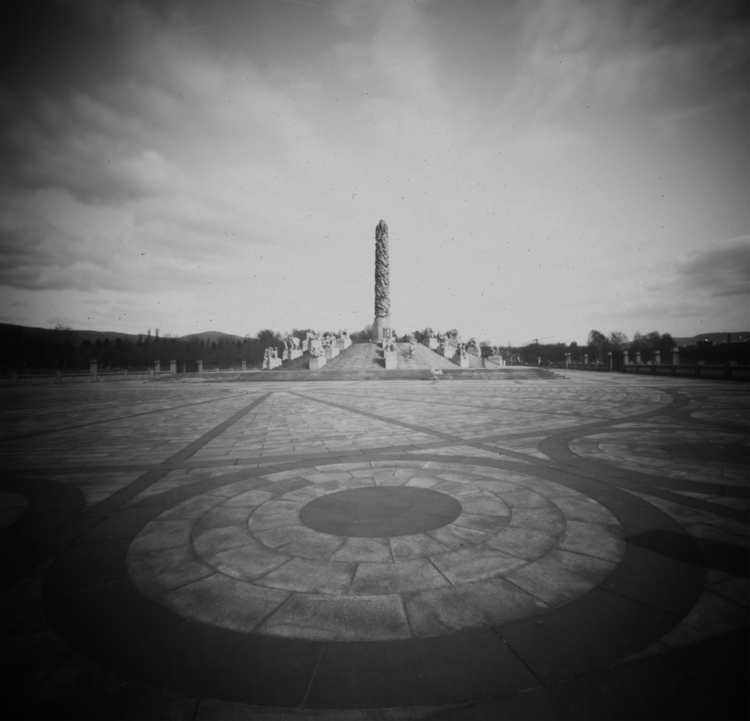 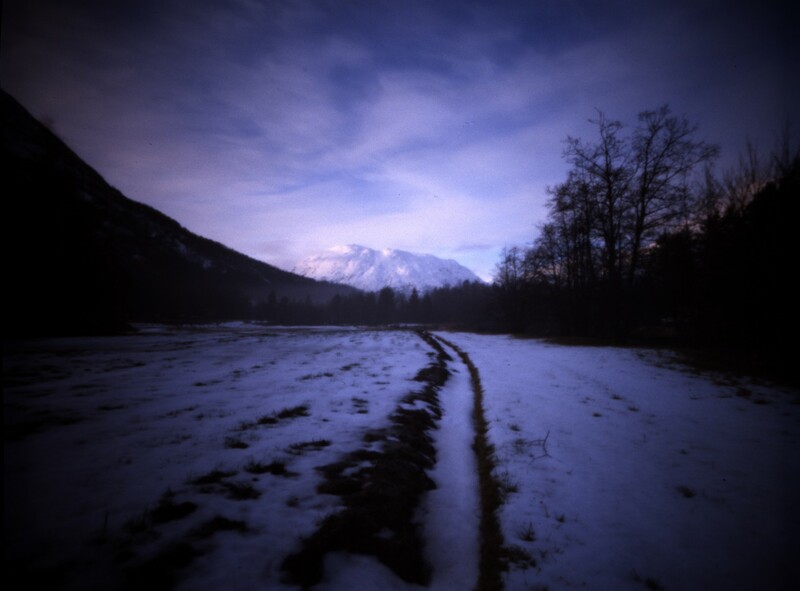 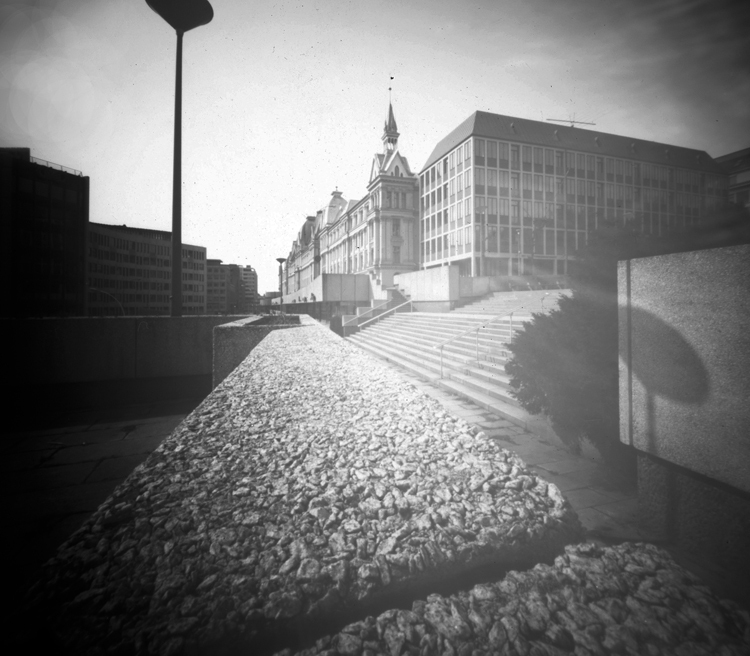 The distance from the pinhole to the film plane was 87 mm.